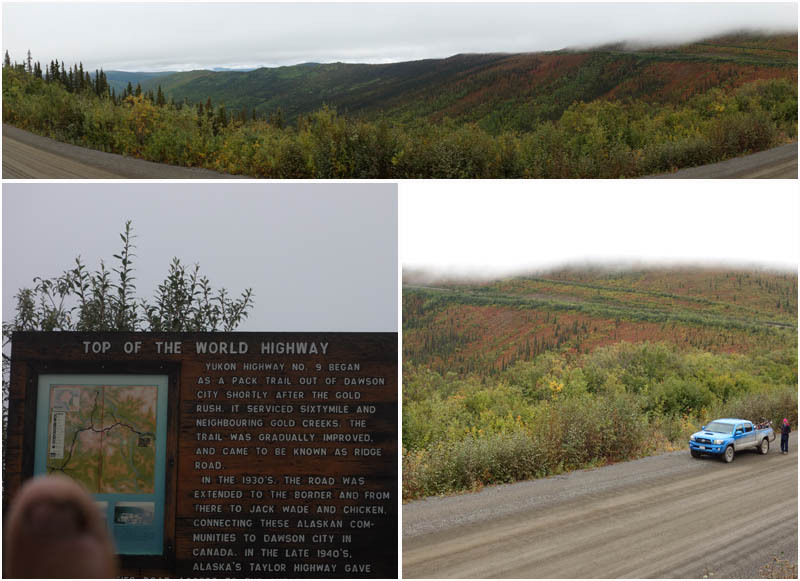 The Top of the World Highway is a 301km highway from Dawson to Tok, Alaska. It was built in 1955 after being used since the gold rush as another gold rush mining, transportation trail. 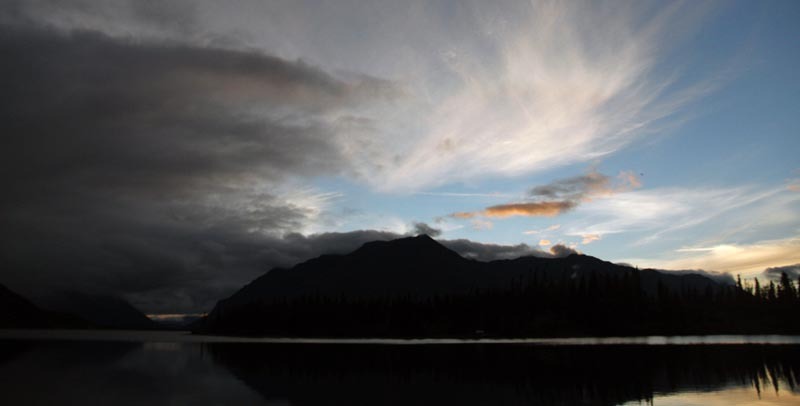 It’s so named since it is one of the highest roads in North America and, to avoid muskeg and permafrost, was built on ridgelines and avoided valleys. 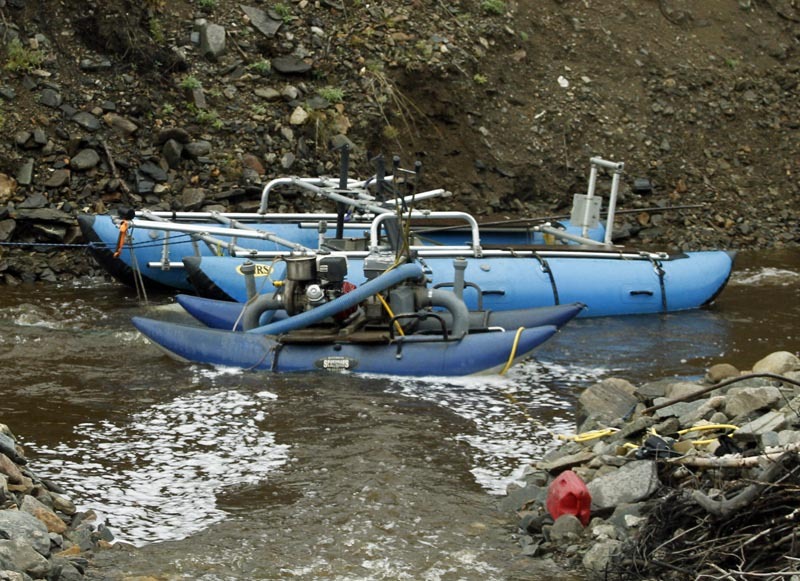 It’s only open in the summer until the reaction ferry at Dawson can no longer cross the Yukon River, which ices up in winter. There is not much along this route. 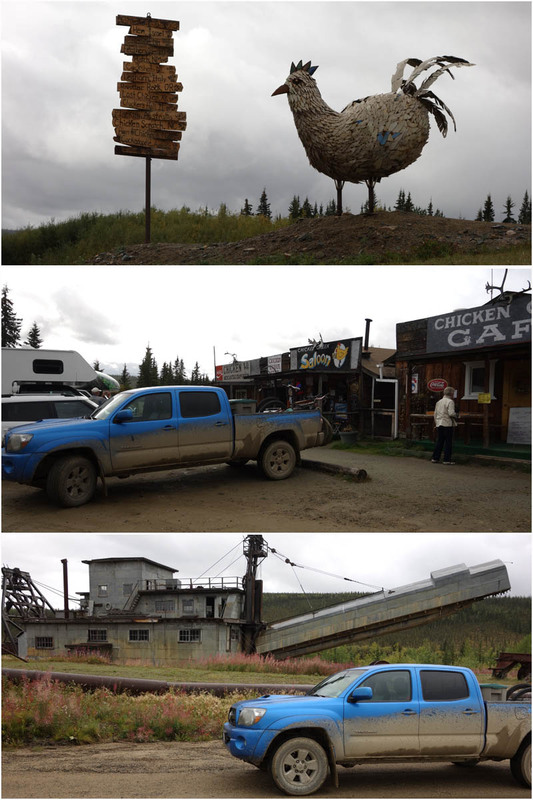 The only town is Chicken Alaska, where we ate lunch. 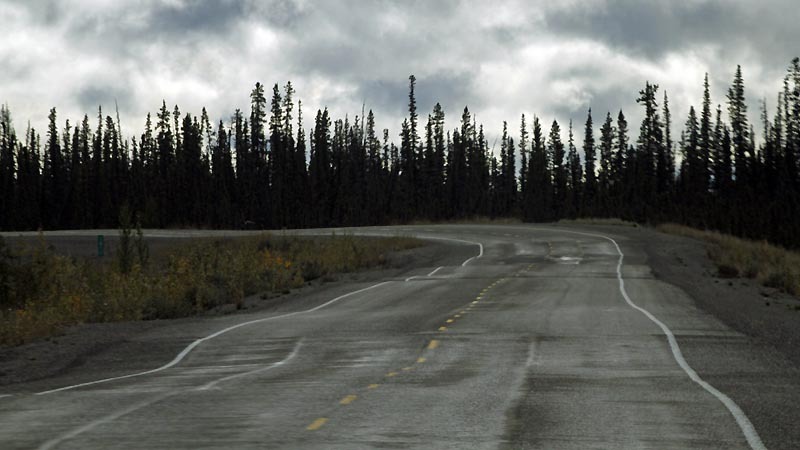 It’s a nice drive as a longer alternate to get back to Whitehorse via linkup to the Alaska Highway. 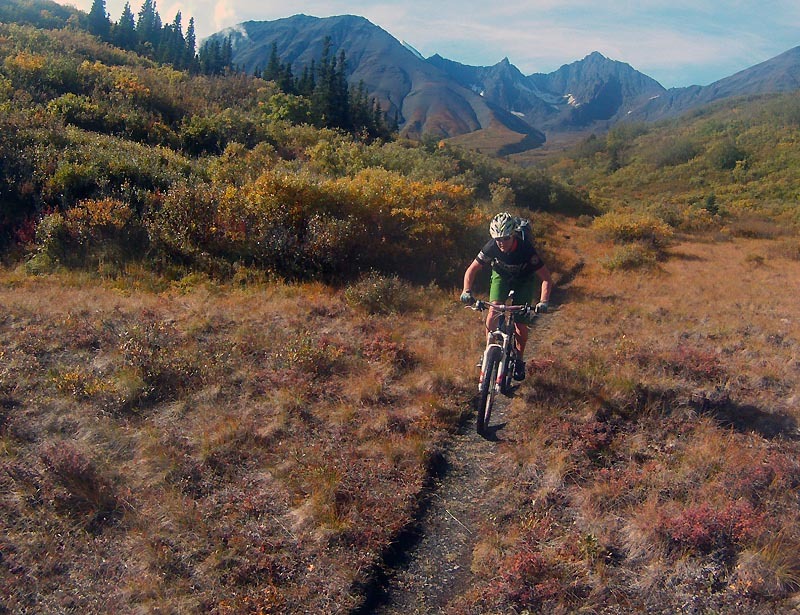 Mountainbiking Kluane – Auriol and Alsek from Lee Lau on Vimeo. 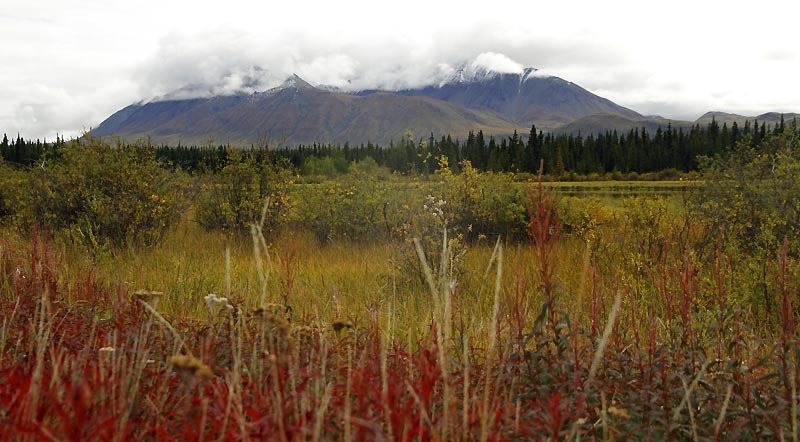 Hunting season is full in Alaska! Chicken Alaska, named so because they couldn’t spell Ptarmigan. 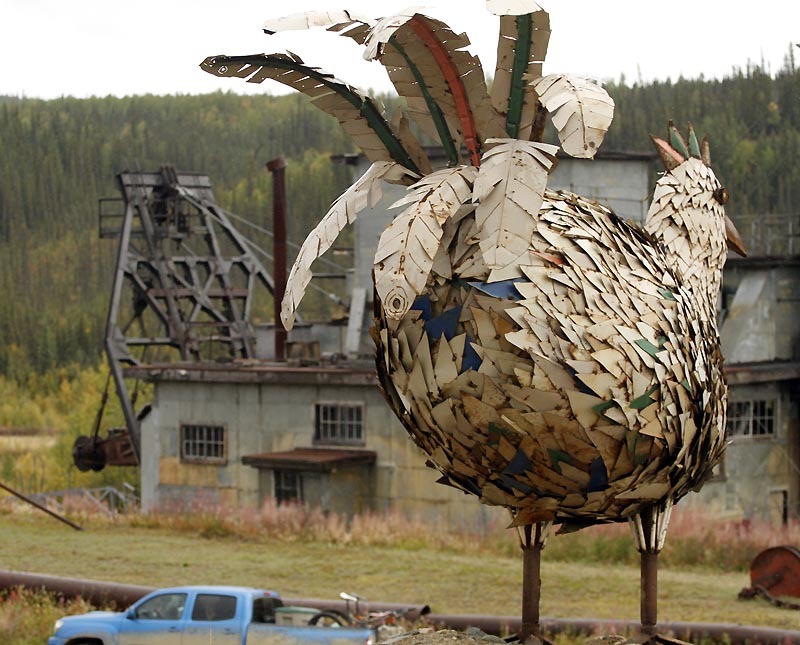 Incorporated in 1902 due to the abundance of Ptarmigans and other food near the South Fork of the 40-Mile River, Chicken exists because of gold mining and continues to survive due to this. 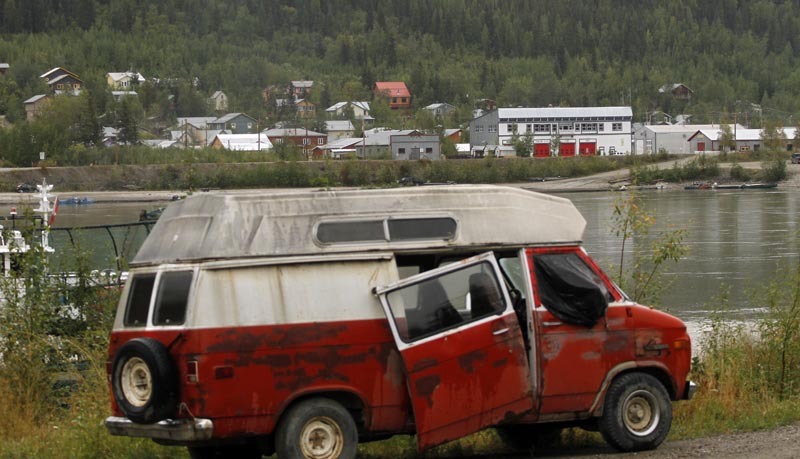 It is one of the few surviving gold rush towns in Alaska. 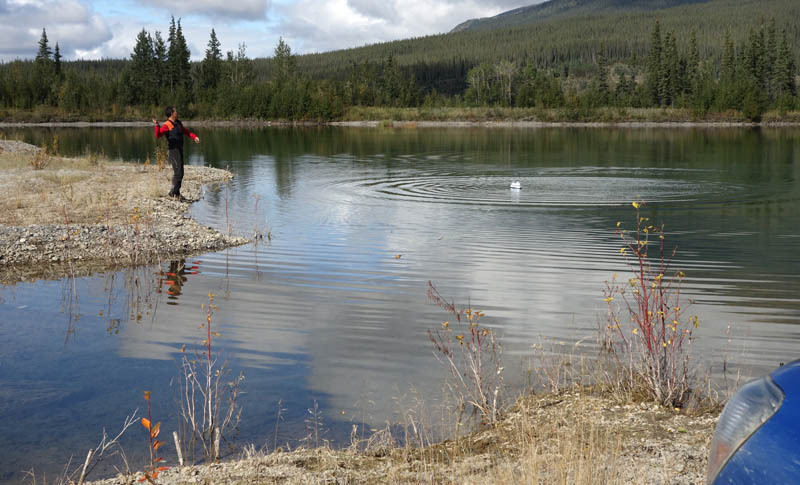 In 2010 the population was 7, they say between 17 and 37 people live there year round, 100 in the summer due to gold panning. 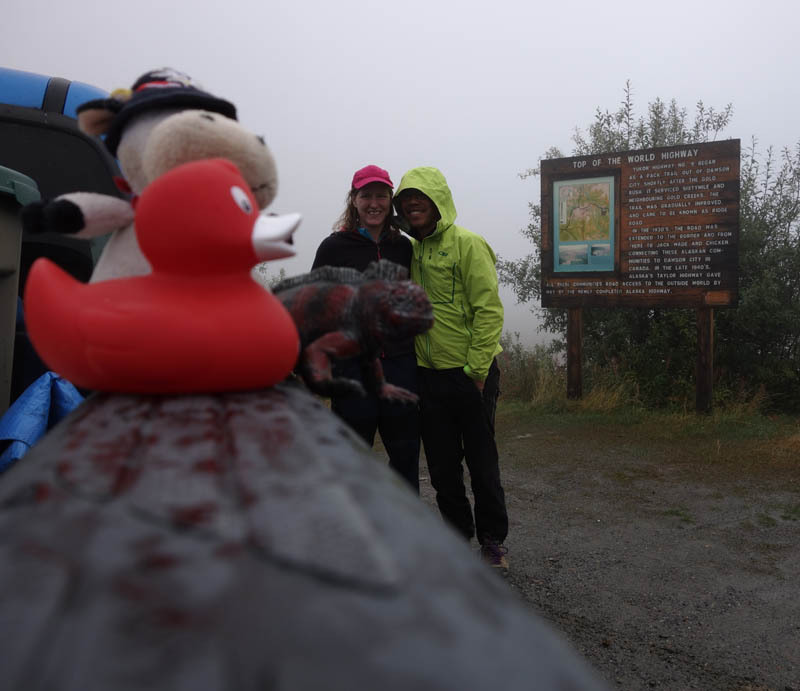 We made it to Tok, Alaska easily in a day. Here we had dinner at the Mexican Food truck Adrians! They’re from Mazatlan! We stayed at the Snowshoe Inn. Long wait at the border since lots of hunters were going back and there is a lot of paper work to deal with when you bring dead animals and guns back to Canada… we made coffee. Stopped for lunch along the way so Lee could play and he almost lost his Ferry! 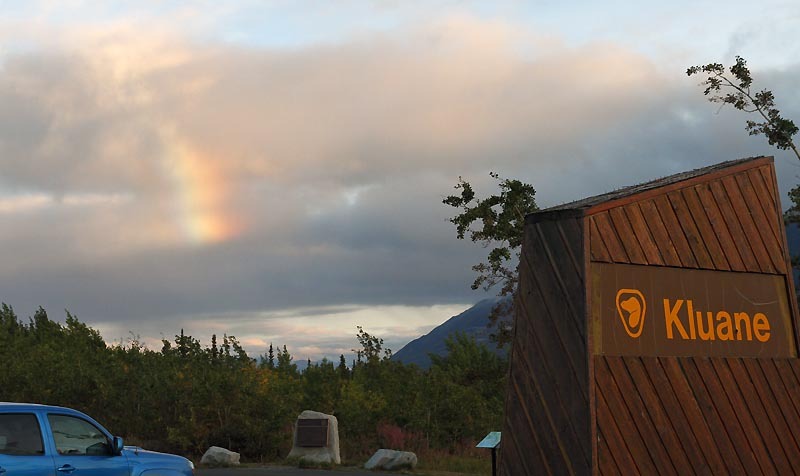 More Rainbows at Kathleen Lake, Kluane. 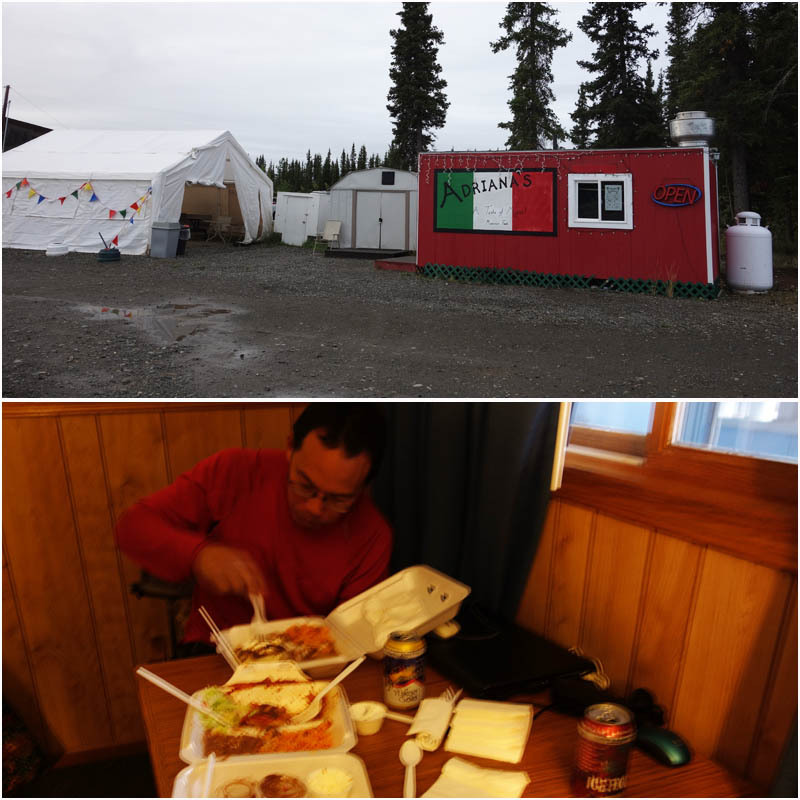 We stayed at the Kluane Inn in Haines Junction, kinda ghetto but clean. 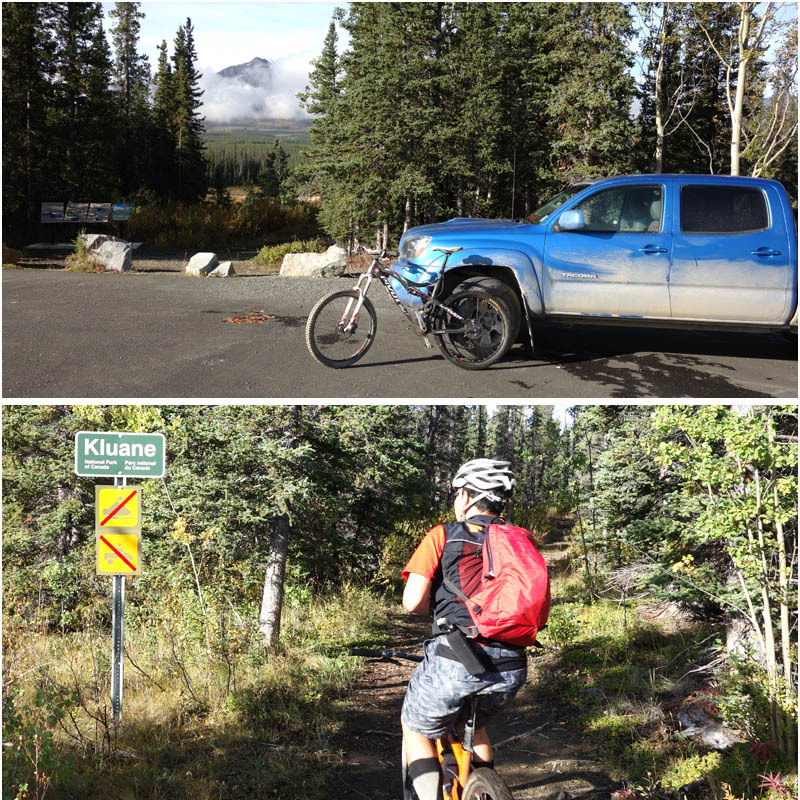 We decide to ride two trails in Kluane. 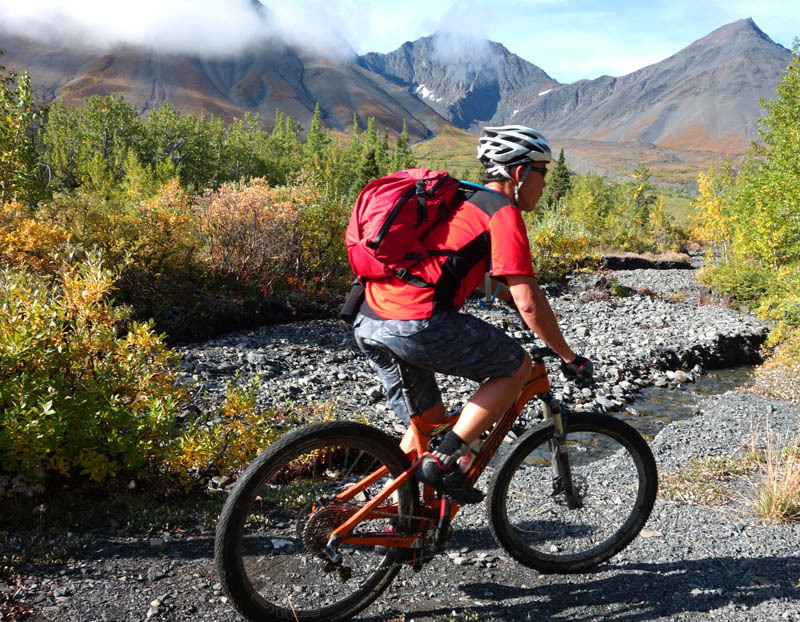 Mountain biking is encouraged in this National Park – very progressive! 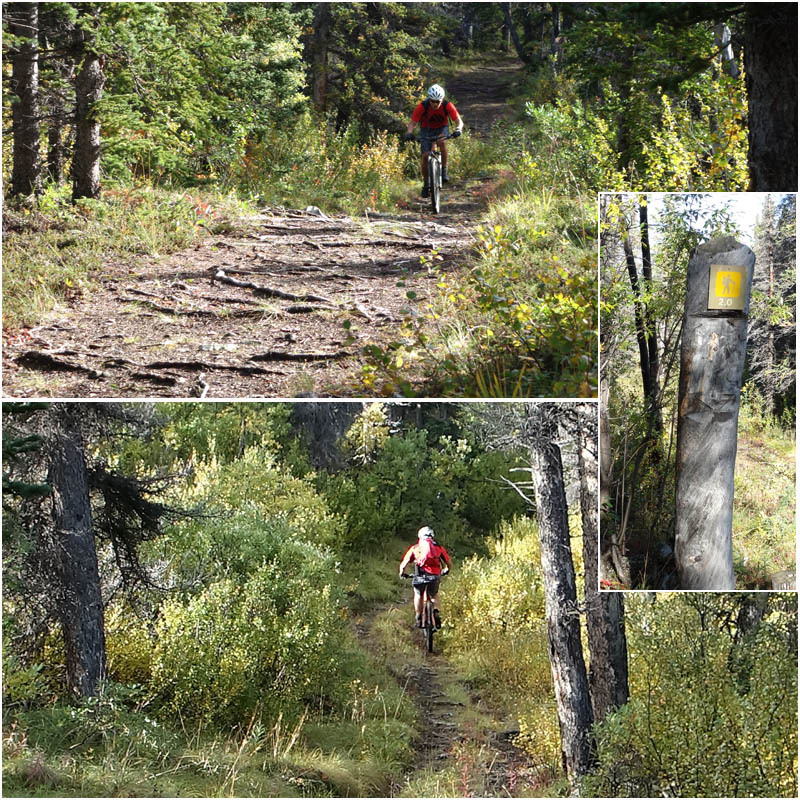 A big riding loop – Cottonwood Trail – was currently unrideable due to blowdown. 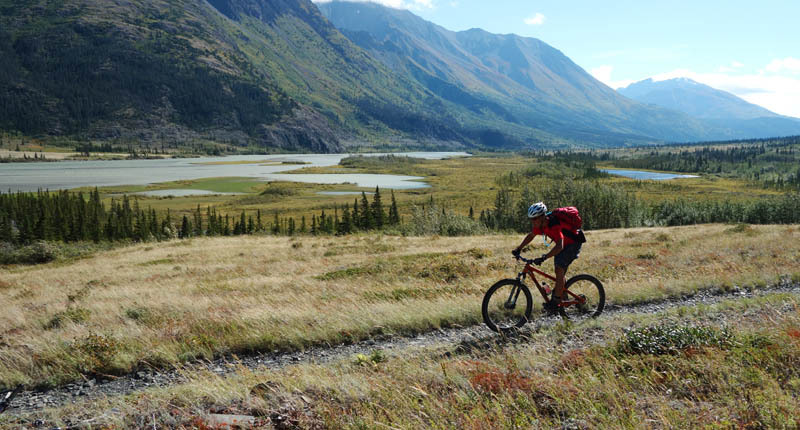 We decide to ride the Auriol Loop and the Alsek Valley Trail. Auriol Loop – A 15km loop with an elevation gain of 367m. We rode in the counter clockwise direction. The Auriol Trail, a nice loop, very rundle riverside like climbing…. Make sure to ride it counterclockwise to maximize enjoyment. Trail makers, what the climb is like if you go counter clockwise on the loop. Backside of the Auriol Loop, sections of the trail washed out but it’s passable. Backside you can see the Auriol Range. You can camp here and hike into the mountains. 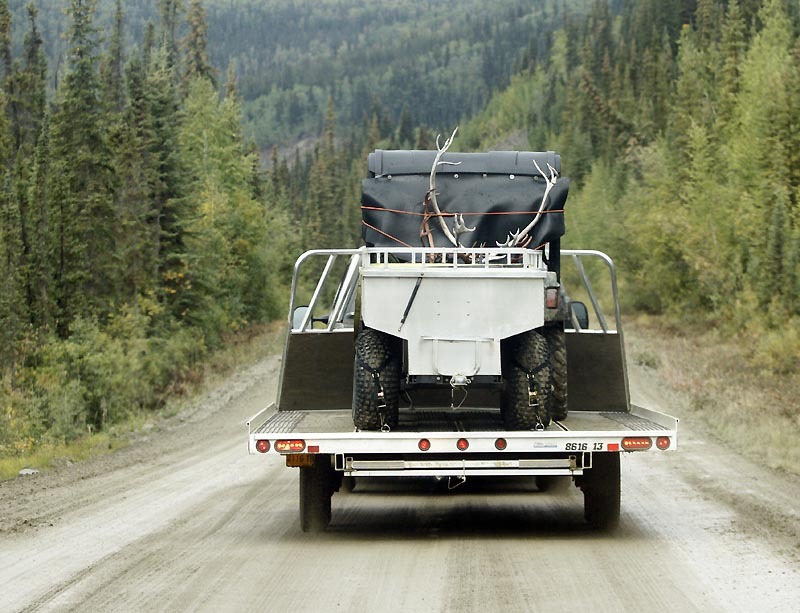 Alsek Trail. A flat 29km trail ( one way ). The first 15km is a double track you can drive, but it’s very slow due to the washouts crossing the road. It’s ok to drive, but you’re probably faster on a bike. 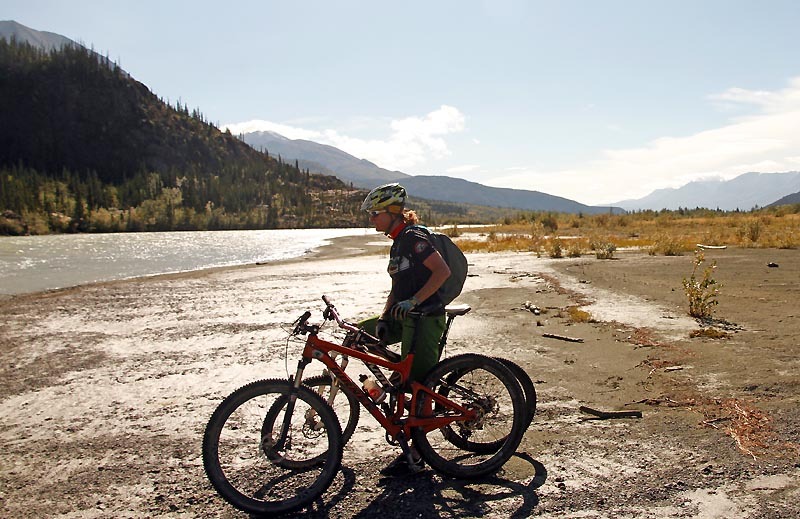 We only rode ~7km to Serpentine Creek. The headwind and flat road didn’t inspire is to travel further. If you have the time it would be a very scenic ride to the end. Nice part of the Double Track. 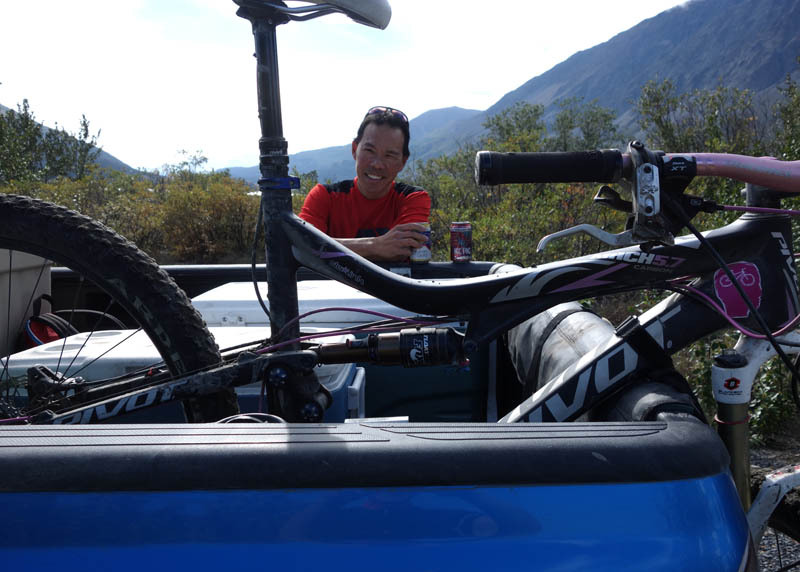 Lee enjoys his Yukon Beer back at the truck. 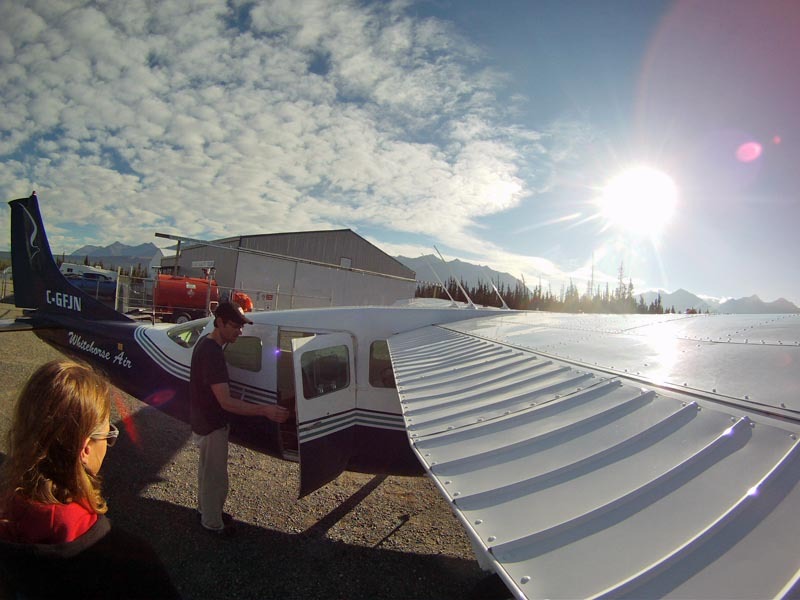 We head back to Haines Junction for our evening flight. 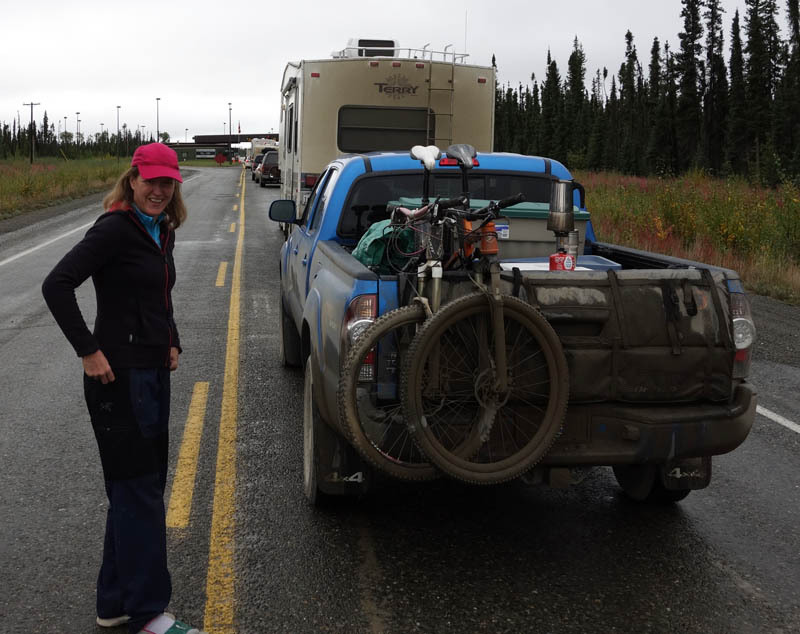 This entry was posted in 2013, bike, yukon road trip and tagged BC Ferries, kluane, kluane2013, Northern BC, Toyota, yukon, yukon2013. Bookmark the permalink.